This is Whit Merrifield's official Rookie Card, produced by Topps Baseball in 2016. This card was available for only 24 hours through the Topps web site, and only 757 were produced. 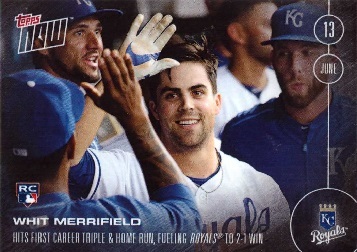 This card commemorates Whit Merrifield's first career triple and home run on June 13, 2016.